Now because I work from home I very rarely consider myself a person who needs to buy socks and shoes specifically for comfort. I am also an avid wearer of flip flops and everyone who knows me, expects to see me in them unless there is more than two inches of snow on the ground. Doing a search for a line of earth friendly shoes, I stumbled upon the brand Okabashi. I was pretty pumped as this is a pretty neat company with a nice variety of styles which you usually don't find when it comes to an eco-friendly alternative. 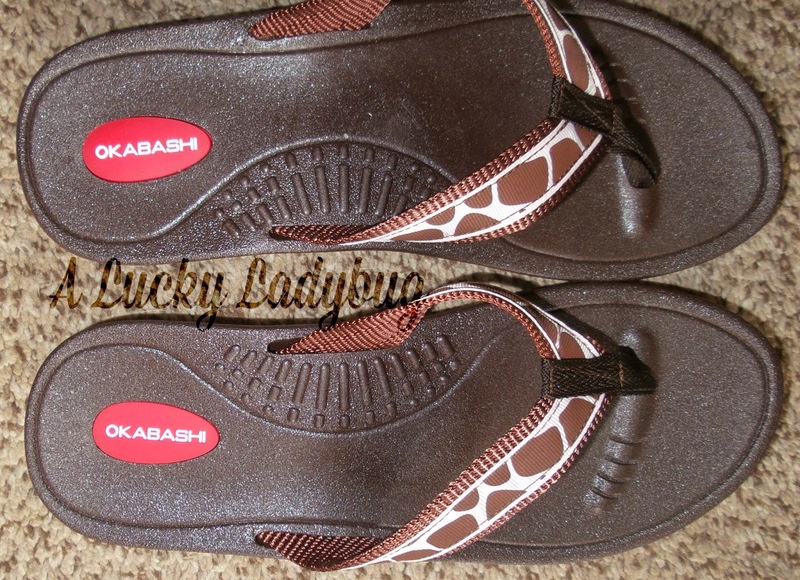 "Besides being made in the USA, Okabashi shoes are 100% recyclable." Okabashi shoes are made of 25% recycled material using a zero-waste manufacturing process. They are also vegan friendly, anti slip, anti-microbial, AND dishwasher safe. I was given the opportunity to review two pairs - Women’s Indigo Marina and the Splash style Flip Flops. I picked the Indigo Marina style in the giraffe/brown color since Alana loves anything giraffe print. She has been pretty psyched wearing these around as she initially thought they were "ugly when not on your feet". 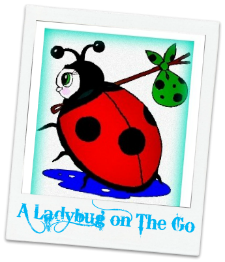 These ones are made with a cute fabric strap and "strategically placed reflexology beads". I went with the Splash style for myself because of the 1 3/4" wedge heel. With being pretty short, I try to find wedge sandals and flip flops for when I dress up to add that little extra height and confidence to my style! I did think the reflexology beads felt weird at first but I was pleasantly surprised with how comfortable these were. I was a bit bummed to find they ran a narrow as I have some wide feet myself but they ended up fitting just fine! I was pretty pumped to hear that these were made in Buford, Georgia as that is actually where I met my husband so they had my heart a little extra with this tidbit. I think it is also great that if anything happens to your shoe, these are all backed by a 2 year guarantee! These are also 100% recyclable! Recommendation: These are completely inexpensive considering the quality, unique styles, and being environmentally friendly. Women's shoes can be so expensive and most are made with poor practices when it comes to the environment!! 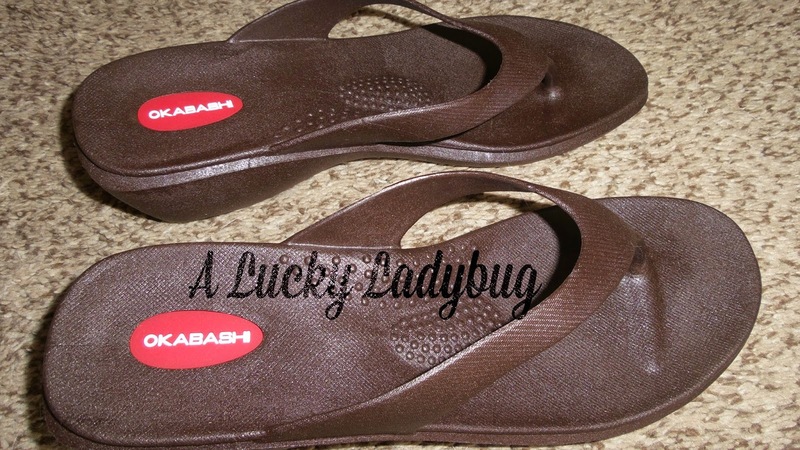 Giveaway: Okabashi is going to give one of A Lucky Ladybug's lucky readers a shoe of their choice to have of their own! My favorite beach is Old Orchard Beach in Maine. I love going here and swimming in the ocean and eating pier fries. I like traveling to Europe! It's my favorite activity. My favorite beach is the Indiana Dunes beach. It's large, has the dunes to walk and lots of waves to swim in. I prefer a pool. Nice and clean and no weeds or fishies!